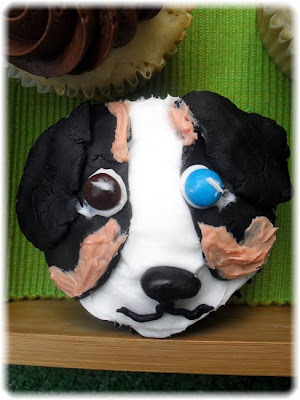 I love all these extremely adorable dog cupcakes by blogger i Bake Cupcakes, who wowed us with her summer fun lobster cupcake cake - make sure to go there to see more. 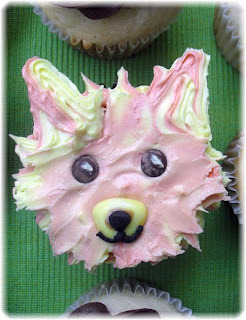 Photos via her Flickr account. 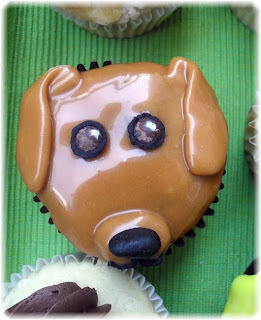 I must admit, I'm not even that much of a dog person, but these cupcakes made me want to meet all these adorable dogs, so thank you, i Bake Cupcakes - visit her to see the poodle, black lab and puggle cupcakes.